In case you haven’t noticed, I ran a quiz on Twitter for quite a few weeks now and I thought you guys may enjoy the results summed up as it’s pretty amazing to see how much 3D evolved over the years. 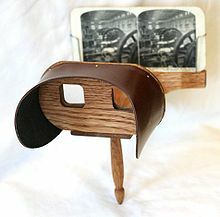 First, you’ve got to know that the very first device that enabled people to see 3D pictures comes all the way from 1838! Right, it’s that old! 🙂 It was invented by Charles Wheatstone who “was awarded the Royal Medal of the Royal Society […], [for] a research which led him to make stereoscopic drawings and construct the stereoscope”. 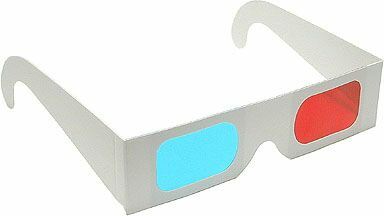 Quickly after that, in 1853, Wilhelm Rollmann developed the first red and cyan glasses and, in 1861, Coleman Seller Jr. patented the Kinematoscope which delivered stereoscopic animations, i.e. 3D movies! It took some time before an actual movie popped up on cinema screens but, finally, in 1922, The Power of Love was released. Not so long afterwards, in 1935, the 3D movie Audioscopiks was even nominated for an Oscar! However, we had to wait until 2003 and James cameron’s Ghost of the Abyss to have a full length movie. By the way, it was a documentary about the Titanic’s jetsam!